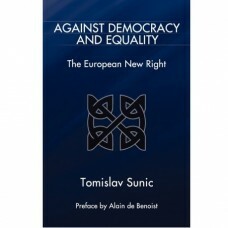 Against Democracy and Equality was the first book ever published in the English language on the European New Right, and it remains an indispensable introduction to a school of thought which remains a vibrant force in the understanding of European politics. Dr. Sunic examines the principal themes which have concerned the thinkers of the New Right since its inception by Alain de Benoist in 1968, such as the problematic nature of the label 'New Right' for a school which sees itself as being beyond traditional concepts of both the left and the right; its revolutionary political philosophy; its conception of history in terms of cycles; its attitude toward democracy, capitalism and socialism; and its endorsement of 'pagan' spirituality. He also discusses the significance of some of the older authors who have been particularly influential on the development of the movement, such as Oswald Spengler, Carl Schmitt and Vilfredo Pareto. 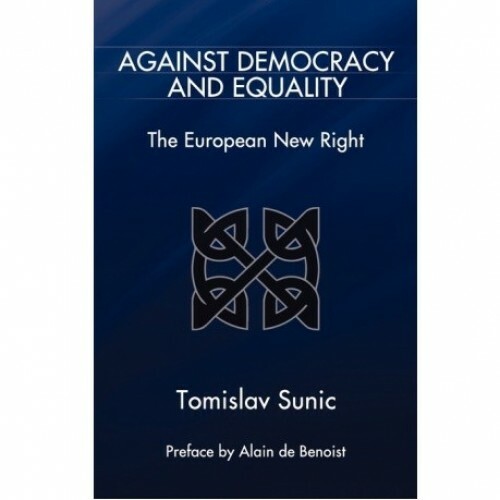 This new edition of Against Democracy and Equality has been completely re-edited, and offers new prefaces by both Dr. Sunic and the principal theorist of the European New Right, Alain de Benoist. Also included for the first time is the Manifesto for a European Renaissance, which highlights the positions of the New Right as it enters a new millennium.